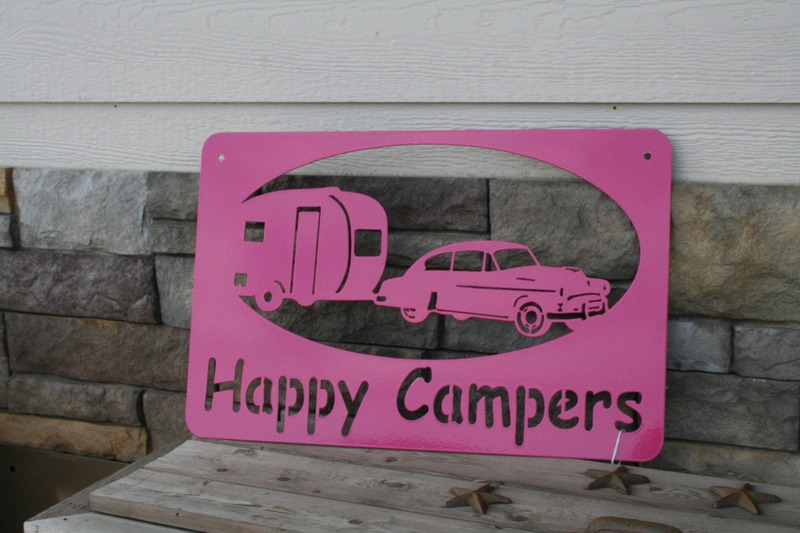 Metal HAPPY CAMPERS sign will add character to your campsite! 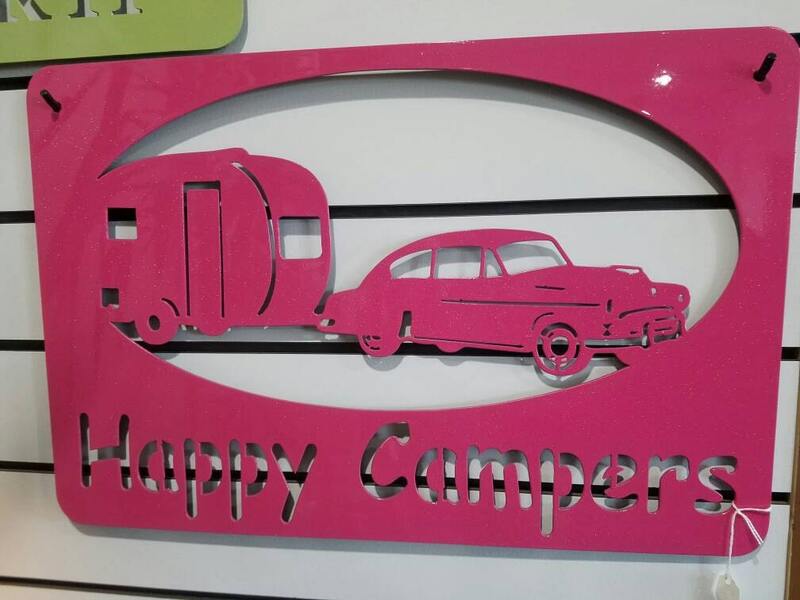 The campground sign is cut from steel about as thick as a nickel. 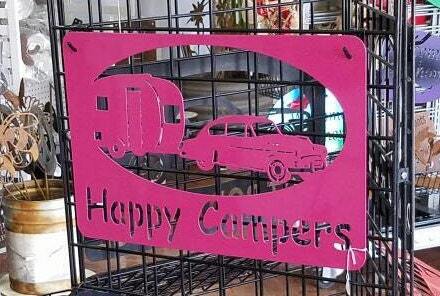 This is a quality sign -- much heavier than the flimsy tin signs you find at the hobby store! 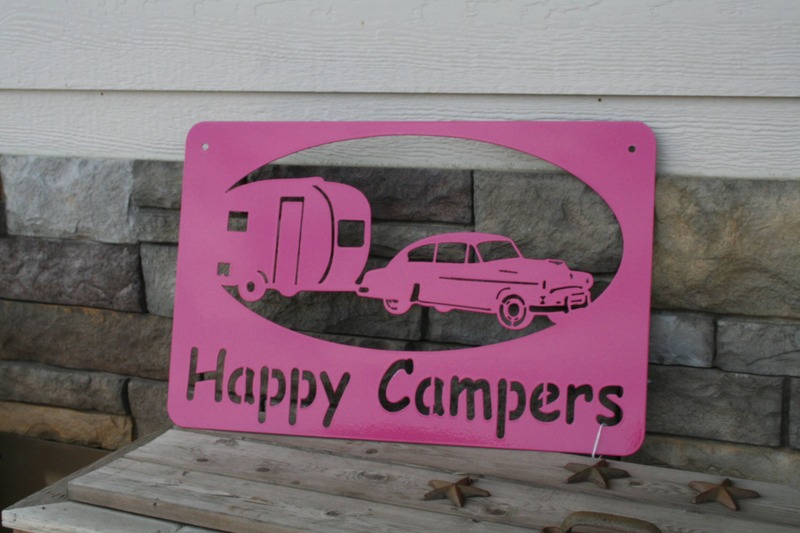 Campsite sign is powder coated for a long-lasting finish indoors or out! 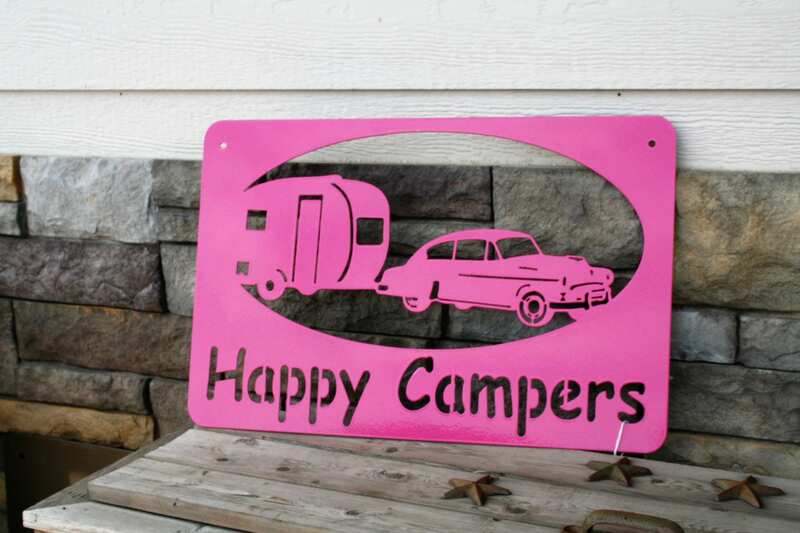 The pink sign is an exception. 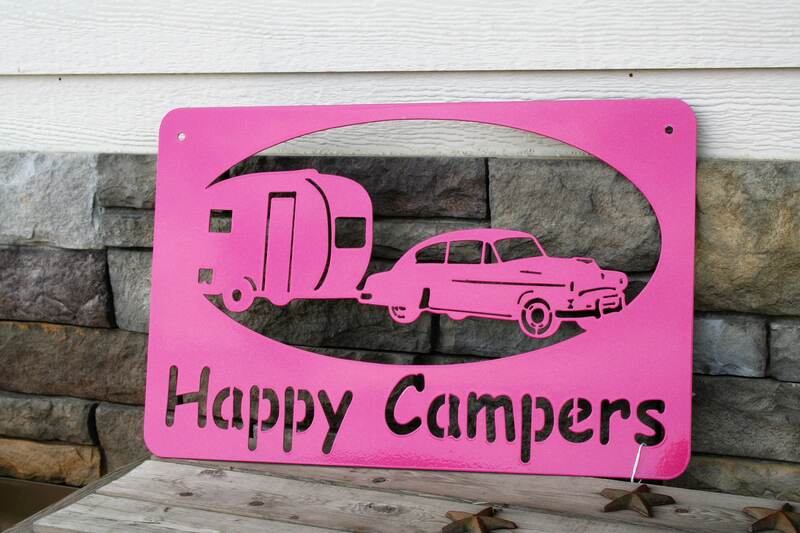 It's coated with metallic pink automotive quality paint and glossy clear-coat. No fading or peeling like spray paint. 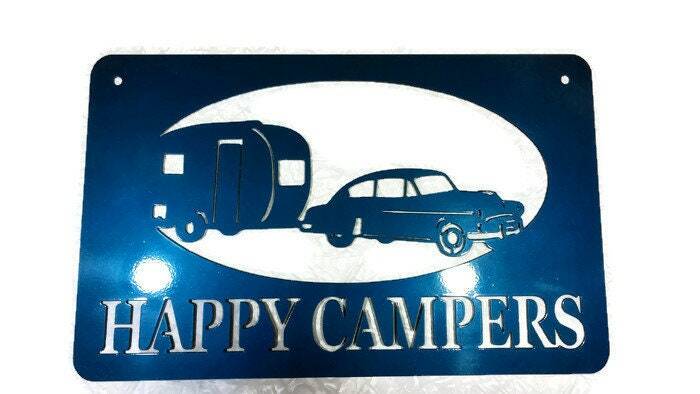 Sign is 22" wide with holes for hanging on the camper, on a fence or even inside your home. 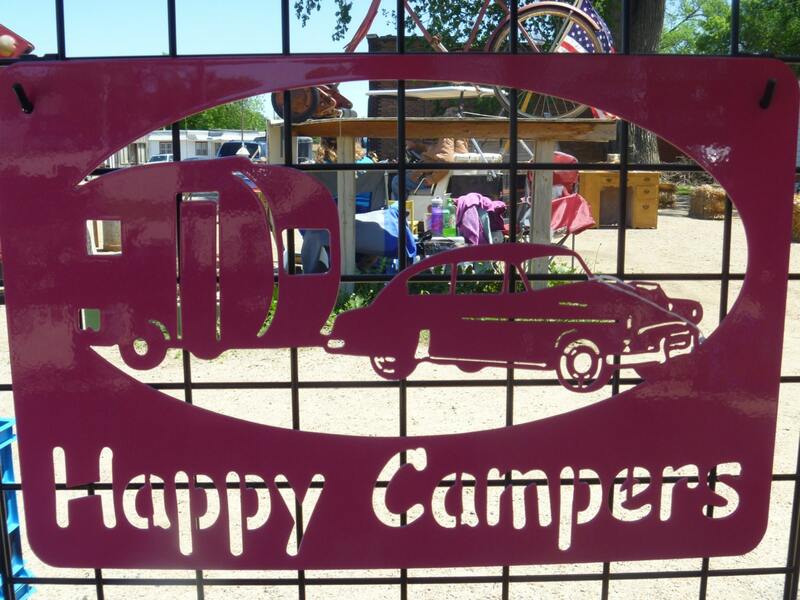 We hope you love our camper signs as much as we loved creating them!